This post covers several events and initiatives at UCL Laws concerning international law. On 1 June 2017 UCL Laws and the UCL Workshop Series on Investment Law and Policy (ILAP), in conjunction with Investment Arbitration Reporter held an event for the launch of the book ‘Domestic Law in International Investment Arbitration‘ by Dr Jarrod Hepburn. Although domestic law plays an important role in investment treaty arbitration, this issue is little discussed or analysed. When should investment treaty tribunals engage with domestic law? How should investment treaty tribunals resolve matters of domestic law? These questions have significant ramifications for both the legitimacy of the investment treaty system and the arbitral mandate of the tribunal members. Drawing on case law, international law principles, and comparative analysis, this book addresses these important issues. Part I of the book examines three areas of investment law-the ‘fair and equitable treatment’ standard, expropriation, and remedies-in which the role of domestic law has so far been under-appreciated. It argues that tribunals are justified in drawing on domestic law as a relevant factor in their rulings on these three issues. Part II of the book examines how questions of domestic law should be resolved in investment arbitration. It proposes a normative framework for use by tribunals in ascertaining the contents of the domestic law to be applied. It then considers counter-arguments, exemptions, and exceptions to applying this framework, and it evaluates how tribunals have ruled on questions of domestic law to date. 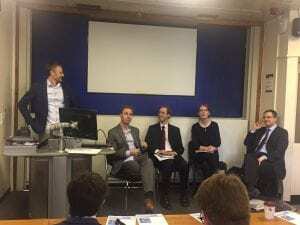 Martins Paparinskis (UCL Laws) and Alison Macdonald (Matrix Chambers) served as discussants; the event was chaired by Lauge Poulsen (UCL Political Science). On 8 June 2017, the Current Legal Problems lecture series hosted Professor Scott Shapiro, who presented his book project (co-authored with Professor Oona Hathaway), ‘The Internationalists: How a Radical Plan to Outlaw War Remade the World‘. The event was chaired by Professor George Letsas (UCL Laws). On a hot summer afternoon in 1928, the leaders of the world assembled in Paris to outlaw war. Within the year, the treaty signed that day, known as the Peace Pact, had been ratified by nearly every state in the world. War, for the first time in history, had become illegal the world over. But the promise of that summer day was fleeting. Within a decade of its signing, each state that had gathered in Paris to renounce war was at war. And in the century that followed, the Peace Pact was dismissed as an act of folly and an unmistakable failure. This book argues that that understanding is inaccurate, and that the Peace Pact ushered in a sustained march toward peace that lasts to this day. The Internationalist s tells the story of the Peace Pact by placing it in the long history of international law from the seventeenth century through the present, tracing this rich history through a fascinating and diverse array of lawyers, politicians and intellectuals—Hugo Grotius, Nishi Amane, Salmon Levinson, James Shotwell, Sumner Welles, Carl Schmitt, Hersch Lauterpacht, and Sayyid Qutb. It tells of a centuries-long struggle of ideas over the role of war in a just world order. It details the brutal world of conflict the Peace Pact helped extinguish, and the subsequent era where tariffs and sanctions take the place of tanks and gunships. The Internationalists examines with renewed appreciation an international system that has outlawed wars of aggression and brought unprecedented stability to the world map. Accessible and gripping, this book will change the way we view the history of the twentieth century—and how we must work together to protect the global order the internationalists fought to make possible. 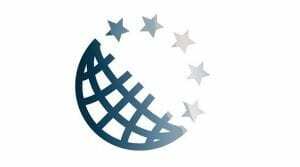 On Monday, 19 June 2017, UCL Laws will hold an event to launch a new Journal, ‘Europe and the World – A Law Review’. Prof. Miguel Poiares Maduro (EUI) will give the keynote speech and Caroline Wilson (Foreign and Commonwealth Office) will chair the event. For more details and registration, see here. On 22 March Professor Martti Koskenniemi delivered a talk at International Law Association (British Branch) event at UCL Laws. Martti Koskenniemi is Academy Professor of International Law at the University of Helsinki and Director of the Erik Castrén Institute of International Law and Human Rights. He is currently leading a research project on ‘The History of International law: Empire and Religion’. 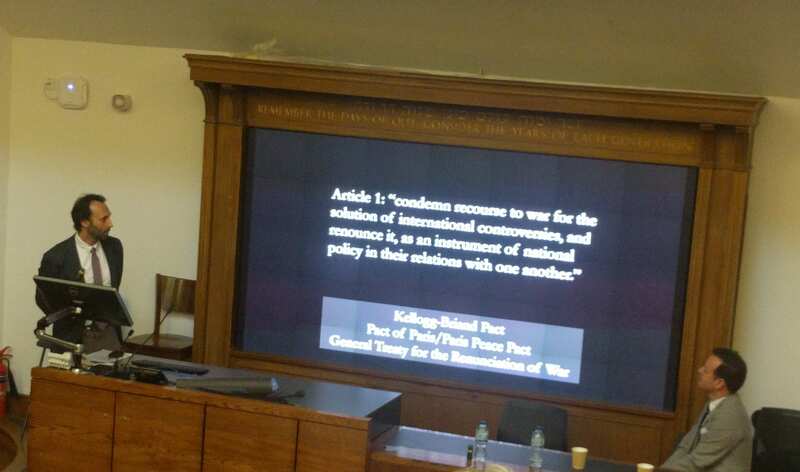 At UCL Laws, Professor Koskenniemi spoke about history of international law as history of international power focusing on the relationship between sovereignty and property. He examined in particular how the legal language was used to buttress state power and property rights in the period between XIV and late XIX century when the Institut de Droit International was established and, in Koskenniemi’s opinion, the history of international law began. Professor Koskenniemi first discussed the concept of dominium, ownership granted to mankind by God, and development of thinking about natural law by the School of Salamanca and Francisco de Vitoria. The notion of dominium jurisdictionis et proprietatis was used to explain the God-given right to exercise power and ownership over property. However, it was jus gentium that governed the division of the property. The idea of interrelation of natural law and jus gentium was reflected in the works of Hugo Grotius (De Jure Belli ac Pacis) who believed that defense or restitution of property could serve as one of the reasons for just war (jus ad bellum). The ideas of natural law and law of nations were further developed by Samuel von Pufendorf who believed that, because of their nature, humans were rationally compelled to cooperate with each other and that the state was a means to achieve common good and salus populi. The relationship between sovereignty and property was also one of the aspects of the discourse on European balance of powers in the course of XVIII century. Johann Justi, in his treatise The Chimera of the Balance of Europe, argued that the concept of balance of powers was an arrangement suitable for political affairs but not for the trade relationships that were regulated by their own rules. Around the same time Francois Quesnay argued for deregulation of trade and free competition as means of achieving salus populi. Professor Koskenniemi quoted some further examples of interconnectedness of sovereignty and property from XIX century. One of them was Lord Palmerston’s statement in Don Pacifico Affair to the effect that a British subject (and as consequence his property) was protected anywhere in the world from injustice and wrong by ‘the watchful eye and the strong arm of England’. Another example was the establishment of the US-Mexico Claims Commission to settle the claims by citizens of both states in relation to damages inflicted by one government on the nationals of the other. A more modern example is the existing system of the investor-state settlement of disputes system. Professor Koskenniemi concluded by emphasising the inherently intertwined nature of sovereignty and property – beneath the surface of government by sovereignty always lie property and contractual relations, and vice versa. Modern legal education should not therefore draw a sharp distinction between private and public law spheres. Author: Daniella Lock (PhD student at UCL Faculty of Laws). The original post was published on Just Security on 30 November 2016. What was formerly known as the Investigatory Powers Bill, referred to elsewhere as the “revised Snoopers’ Charter,” has received Royal Assent and, as of Nov. 29, is officially law in the UK. The Act (full text here) does introduce additional safeguards, as well as a new body of oversight and the involvement of judges in the authorization of surveillance warrants. However, the broad range of surveillance powers available to the British Government, which were exposed by the Snowden leaks, have not been scaled back but further entrenched within British law. This is despite consistent pleas to reduce the powers by parliamentarians, legal practitioners and legal NGOs, and amendments having been made to the Act by both Houses of Parliament. All of these far-reaching surveillance powers existed in one form or other prior to the Act. However, many of them were only avowed by the UK Government in the aftermath of the Snowden leaks. For example, engagement in the bulk acquisition of communications data by the security services was first admitted in November 2015, when the then-Home Secretary, Theresa May, informed Parliament that communications data was being obtained in bulk from Communication Service Providers under the authority of the Telecommunications Act 1984. The use of hacking powers was acknowledged by the UK government through the publication of the Draft Equipment Interference Code of Practicepublished in February 2015 (containing, admittedly, unclear distinctions between bulk and targeted powers). The use of thematic warrants and BPDs were publicly avowed for the first time in March 2015 in a report by the Intelligence and Security Committee (the Parliamentary committee appointed to oversee the work of the UK’s security services). Many were hoping to prevent or obstruct the UK Government in its consolidation of these extensive powers. Since the Act was first published in bill form, there has been rigorous engagement with its provisions by legal practitioners, legal NGOs as well as tech companies. When the Act was published in draft form in November 2015 last year, over 1,500 pages of written evidence were submitted to the Joint Committee responsible for scrutinizing the bill. Written evidence was then submitted throughout the year. Legal NGOs and legal practitioners made recommendations calling for many of the powers either to be removed or subjected to much greater restriction. For example, Liberty calledfor a removal of all bulk powers contained in the bill, and the barrister (and Reader at University College London) Dr. Tom Hickman called for the scope of thematic warrants to be greatly reduced. Official scrutiny of the Act was primarily undertaken by the Joint Committee for the Investigatory Powers Act and the Intelligence and Security Committee (ISC), who both wrote reports in response to the draft bill. These reports also conveyed skepticism about certain powers contained in the bill. For example, the ISC expressed uncertainty over the need for bulk hacking powers, and the Joint Committee stated that it was not clear that the bulk powers of interception and hacking were compliant with the UK’s obligations under the European Convention on Human Rights. Partly in response to concerns such as these, the government called for a review of bulk powers by the Independent Review of Terrorism Legislation. The publication of the review report was discussed in a previous blog post by Shaheed Fatima Q.C. The Independent Reviewer concluded in the report that there was a “proven operational case” with respect to three of the bulk powers which were “already in use.” These powers were bulk interception, bulk acquisition (of communications data) and BPDs. At the time of the review, the Independent Reviewer had been told by the UK’s Government Communications Headquarters (GCHQ) they had not so far engaged in bulk hacking. With regards to this power, it was found that there was a “distinct, but not yet proven, operational case” for it. While the conclusions of the review were welcomed by the UK government, they were not accepted across the board and opposition to the reach of surveillance powers in the bill remained. Liberty criticized the scope of the review, arguing that its lack of consideration of the necessity and proportionality of bulk powers meant that the most important question regarding their use had gone unanswered. It also criticized the short time-frame for the review, citing the lack of time that had been available for those carrying out the review to consult experts in the field. It also highlighted that no operational case with regards to internet connection records had been made, and it claimed that this power should be removed from the bill. Despite determined efforts by many to oppose the powers in the bill, only fairly minor changes were made to them during its passage. For example, restrictions were added to class warrants for BPDs, the examination of material obtained under bulk warrant and additional safeguards were added with respect to accessing journalistic material and legally privileged material. For those less familiar with the provisions contained in the Act, it should be noted that at the same time as ensuring the same breadth of surveillance powers are available to the government, it also introduces a new authorization process for these powers and new safeguards and body of oversight. With respect to the authorization process, there is now a mechanism by which judges, called Judicial Commissioners, will be involved in the decision-making process for the issuing of surveillance warrants—a mechanism described as the “Double-Lock.” Judicial Commissioners will be required to approve warrants initially issued by the Secretary of State before they can be fully authorized. A new oversight body will be set up, which merges previously existing oversight bodies. The body will be made up of an Investigatory Powers Commissioner and a group of Judicial Commissioners. It will keep under review the exercise of statutory functions by public authorities provided for in the Act. Furthermore, as stated, Judicial Commissioners will also be involved in the authorization process for surveillance warrants. Insofar as these additions to the UK surveillance regime serve to impose robust limitations on the UK government’s use of its surveillance powers, they are clearly welcome. However, the extent to which they will impose robust limitations has been a matter of debate. One issue of controversy is that the Act expressly states that the Judicial Commissioners are to apply judicial review principles when reviewing the Secretary of State’s decision. As was discussed in an earlier blog post by Shaheed Fatima Q.C, there may still be potential for Judicial Commissioners to undertake substantive and meaningful review of the Secretary of State’s decision despite this constraint. However, this remains to be seen. Furthermore, there are a number of other factors that may serve to constrain the Judicial Commissioners, highlighted here by Lord David Pannick, which are not acknowledged in the Act. For example, there is no clause in the Act which provides that the Judicial Commissioner would have access to all of the same information on the basis of which the Secretary of State made their decision. There is also no provision in the Act to ensure that Judicial Commissioners will be able to access a special advocate to assist them in their decision-making. Concerns have also been raised about the fact that this same oversight body, responsible for providing oversight with regards to the UK surveillance regime, is also responsible for approving surveillance warrants. While it is not clear how robust these restrictions will be, what is clear is that the Act does not reduce the powers available to the government. And ultimately, many of the concerns that were initially voiced about the Act still stand. For example, the problems discussed in the blog post by Scarlet Kim, in connection with the expansive hacking powers and use of thematic warrants, remain. The concerns regarding justifiability of access to Internet Connection Records, discussed in a blog post by Shaheed Fatima Q.C, are as relevant as they were last year. Due to the extensive surveillance powers that the Act provides for, it is still not clear whether the new regime will be compliant with standards set by international law. This was expressly stated by the UN Special Rapporteur when he delivered his first report to the UN Human Rights Council in March this year. The Special Rapporteur argued that the provisions in the Act “prima facie fail the benchmarks” set in recent case law by the European Court of Human Rights (ECtHR) and the Court of Justice of the European Union (CJEU). Provisions in the Act may also come into conflict with certain standards set by the CJEU. The UK will be required to adhere to these standards for at least the next few years, even if the UK manages to begin the process of leaving the Union early next year. The key issue will be the Act’s provisions on data retention. Recent decisions—such as in the joined cases of Digital Rights Ireland and Seitlinger as well in the case of Schrems —suggest that the CJEU is willing to take a more hardline approach with respect to data retention. Furthermore, in July 2016 the Advocate General of the Court of Justice published his opinion on the Tom Watson (and formerly David Davis) case, regarding the lawfulness of the UK’s Data Retention and Investigatory Powers Act 2014 (DRIPA). The Advocate General stated in his opinion that data retention should only be lawful for the purpose of investigating serious crime. This opinion is not binding, and a lot depends on what the CJEU rules in relation to DRIPA early next year. However, it may be that the provisions for data retention in the Act, which allow for data to be retained on the basis of a broad range of purposes—including for the purposes of “public health” and “assessing or collecting any tax, duty, levy or other imposition, contribution or charge payable to a government department”—may be incompatible with EU standards. There are already challenges relevant to the Act underway. For example, Privacy International and five internet and communications providers have lodged an appeal in the ECtHR challenging the UK Government’s hacking powers (under the previous regime). An application by Big Brother Watch regarding bulk interception and intelligence sharing (under the old regime) is also waiting to be heard in Strasbourg. Many legal challenges to be made directly against the Act once it becomes law are no doubt being currently drafted. Some will be relieved that, for now, the “fight” is not completely over. However, it seems like a sad reflection of the current state of British law-making that an Act like this could be passed in its current form, with the best chance of opposing its most questionable provisions apparently lying in the ability of pro bono lawyers to challenge it in courts. The letter reminded the government that the new law “could lead the world” if it was done right. Indeed, this new legislation was a big opportunity to wipe the slate clean after the Snowden leaks, and to help rebuild trust in the UK government and its surveillance practices. However, the UK government has chosen to push through a law which may well be seen as only serving to enhance distrust: for it consolidates far-reaching surveillance powers which many think should never have been relied upon in the first place. University College London Faculty of Laws is pleased to invite submissions for its 2017 Postgraduate and Early Careers Conference to be held on 30-31 March 2017, at University College London, London, UK. The conference is designed to provide current doctoral students and recent PhD graduates with a forum to present and discuss their work among academic peers from different backgrounds and legal disciplines. The conference aims to promote fruitful research collaboration between its participants, and to encourage their integration in a community of legal scholars. The Conference theme is “The Role of Law in Reconciling Competing Interests”. Contemporary legal problems create the need to balance competing interests, values, rights, obligations, and freedoms. This Conference will explore the response of the law and legal actors to modern challenges, be it in the context of domestic law and national jurisdictions or in the framework of international law. The increasing criticism against the fragmentation of legal fields have brought about the need to reconcile public, individual, and international interests. Additionally, the growing focus on States’ obligations to respect and protect human rights and freedoms has too led to a shift in the manner States conduct themselves both in the domestic and international arenas. Yet, given the ever increasing extent of international regulation and concomitant demands on limited financial, technical and human resources, it is not at all clear how these competing rights and obligations ought to be balanced. Furthermore, the mounting pressure on the States to ensure the security of their population brings about the debate over States’ ability to limit other rights and freedoms on behalf of security interests, legitimate as may be. Relevant papers may concern any field of law. Balancing of competing interest by adjudicative bodies. We welcome applications from current doctoral students, both in law and law-related disciplines, and from recent graduates of doctoral programs up to five years since the completion of their PhD. We encourage submissions engaging all disciplines of law. Selection will be based on the quality of the proposal, as well as its capacity to engage with other proposals in a collaborative dialogue. The UCL Laws 2017 Postgraduate and Early Careers Conference will select a number of papers presented at the Conference for publication in a special issue of the UCL Journal of Law and Jurisprudence. All the participants will be offered an opportunity to publish a blog post based on their papers at the UCL Law Journal Blog. (3) The deadline for submitting papers selected for publication is 15 May 2017. Interested scholars should email an abstract of up to 750 words along with a short bio in no more than two paragraphs by 25 December 2016 to the following address: PGC2017@ucl.ac.uk. Abstracts should reflect papers that have not been published nor submitted elsewhere for consideration for publication. Successful applicants will be selected by an Organizing Committee and notified no later than 15 January 2017. 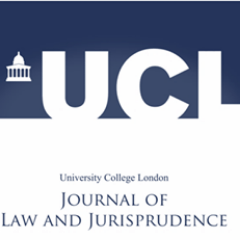 The UCL Journal of Law and Jurisprudence aims to make a high-quality contribution to current debates on local and global issues of law and jurisprudence. We have made significant advances this year, now launching two issues per year, implementing an online submission system, expanding to open access and many more exciting changes. The launch is an opportunity to recognise our authors and celebrate the contribution the Journal makes to the vibrant intellectual life of the UCL Faculty of Laws. It is also a great opportunity for those looking to get involved in 2016 to find out more. Students interested in joining the Journal Board are recommended to attend the event and express their interest towards the Academic and Managing Editors for 2016/17. The launch will be followed by drinks and a chance to meet our editors, authors and reviewers. This is a free event and copies of the Journal can be pre-ordered here or available for purchase on the day. Please note that our stock is limited therefore it is best to pre-order.